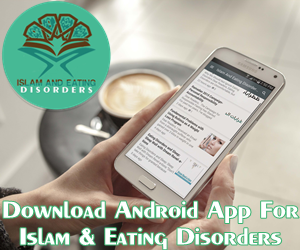 Zaitoon: In Our Recovery We are Inspired by Prophet Muhammad (pbuh). The Vitamin E contained in Olives is the body’s primary fat-soluble antioxidant. Anti-oxidants help to strengthen the body’s immune system; reducing the severity of asthma, cancer, osteoarthritis, and rheumatoid arthritis, premature ageing, as well as delaying the effects of ageing. Olives contain compounds called polyphenols that appear to have significant anti-inflammatory properties. 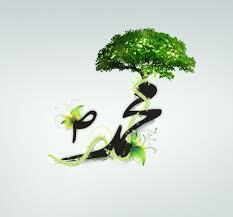 Imam as-Suyuti comments that in using olive oil as a balm, you fortify your limbs and as a result reduce inflammation. 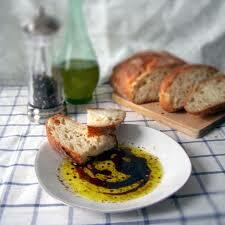 Olive oil stimulates the production of bile in the liver and its expulsion from the gallbladder into the intestine. This means it can help prevent indigestion caused by the poor digestion of fats.Consume one to two tablespoons of extra-virgin olive oil with each fatty meal. Olive oil can soften wax that is blocking the ear. Put one or two drops of warm oil into the affected ear twice a day for a week. AcneThe antibacterial and anti-inflammatory properties of extra-virgin olive oil can help with this common skin problem. Apply to the area two or three times a day.DandruffAntifungal properties in extra-virgin olive oil can help alleviate this condition. Apply oil to the scalp and cover with a shower cap or plastic carrier bag. Relax for an hour then shampoo hair. Repeat twice a week. Flavonoids in the oil can stop this virus from multiplying. Apply extra-virgin olive oil to the wart then cover with a plaster. Repeat twice a day for three to six weeks. Olive oil has nutrients that support the heart and brain, and the Omega-3s in olive oil make blood flow easier. The antioxidants found in the oil protect against aging by reducing damage from free radicals and oxidative stress. 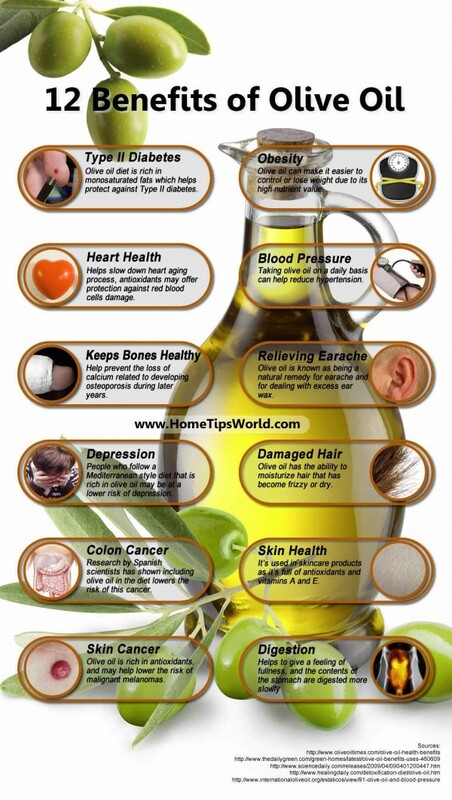 Populations who consume the highest amounts of olive oil enjoy low rates of coronary heart disease. The juice of the olive, otherwise known as olive oil (Zayt), is a delicious source of antioxidants. This oil is monounsaturated, and it has a positive effect on the cholesterol level in our blood streams, by helping to reduce it. Monounsaturated fats are an important part of our diets. These oils act to keep cholesterol from sticking to our artery walls, and thus combating against diseases such as heart disease and strokes. 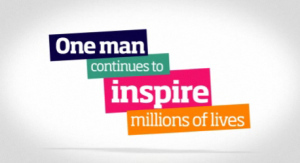 Not only that, but they help to control blood sugar, a big plus in offering protection against Diabetes. The beloved Prophet Muhammad used to eat bread dipped in Olive Oil. Why not try Bread dipped in peppery olive oil with fresh herbs and sea salt…It’s one of the most amazing culinary delights. Crush garlic. Add cilantro and chop it finely, together with the garlic. Trim the pods of their hard stem ends. Wash well, drain, and tumble in a clean towel to dry them. Fry the okra in deep, hot olive oil until just tender. Remove the okra and fry onions in same oil till soft and golden. Pour off most of the oil and fry the cilantro mixture for 1 minute. Cover the bottom of a large pan with a layer of sliced tomatoes. Cover the tomatoes with the okra. Scatter the onions over it. Pour the lemon juice over the vegetables, and spoon the cilantro mixture over all. Make a depression in the center of the okra and fill it with the onions. Spoon the cilantro over all. Season with salt and pepper. Cover and bring the vegetables to a gentle boil over medium heat. Turn the heat down immediately and simmer, uncovered, until most of the liquid is reduced. Check the seasoning. 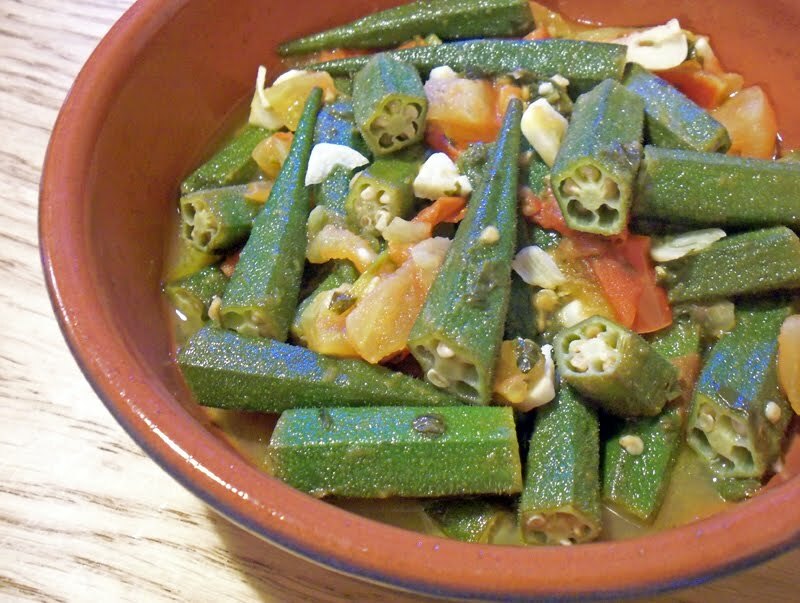 Spoon the cooked okra into a serving dish. Cover, chill, and serve cold. Most vinaigrettes get the majority of their flavor from vinegar. However, this simple vinaigrette gets a burst of citrus from Persian Lime Fusion extra virgin olive oil, which is rounded out with the sweet tang of a balsamic vinegar. 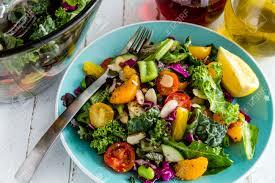 Even better, you can decide how much citrus you want in your dressing by adjusting the amounts of the non-flavored or fused extra virgin olive oil you use. 1. Pour the balsamic into a bowl and get out a whisk. 2. 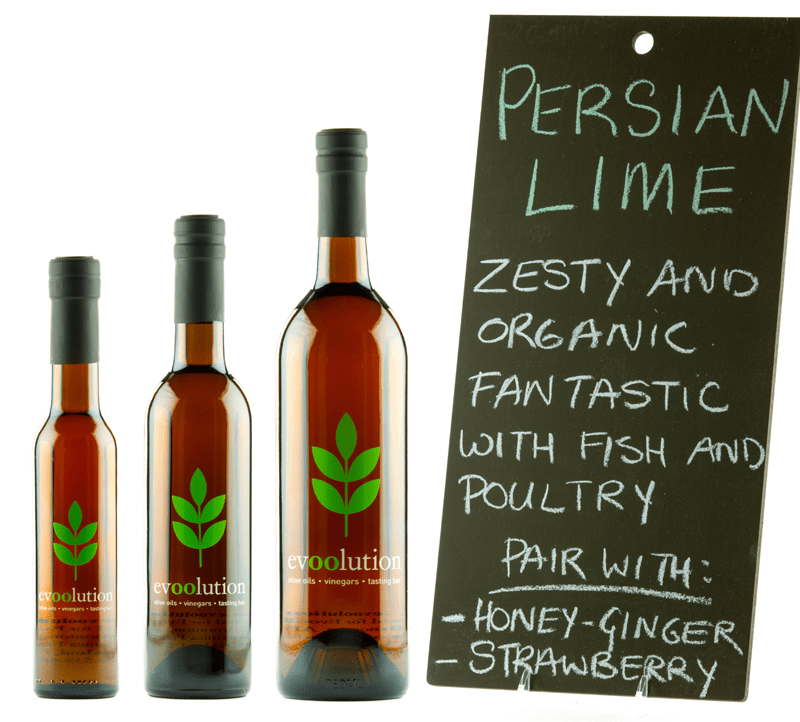 Slowly drizzle in the Persian Lime Olive Oil. Taste the dressing. If you like it, stop. 3. If it has too strong of a citrus flavor, begin drizzling in the mild olive oil until it has the right taste. i want to know how our prophet muhammad used to consume olive oil..